As the price of installing solar has gotten less expensive, more homeowners are turning to it as a possible option for decreasing their energy bill. The goal of Project Sunroof is to make installing solar panels easy and understandable for anyone. 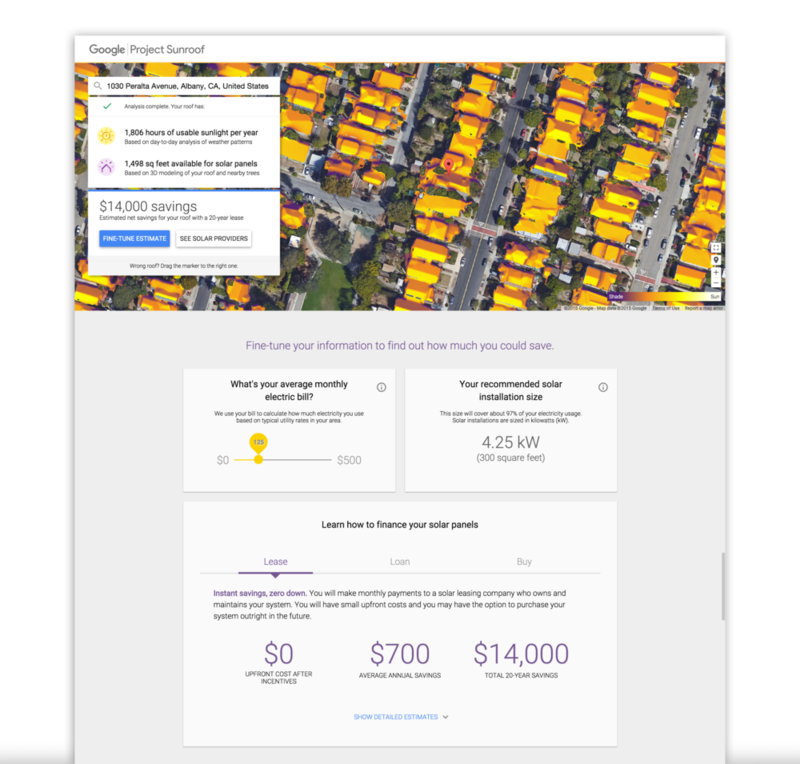 Project Sunroof puts Google's expansive data in mapping and computing resources to use, helping calculate the best solar plan for you. 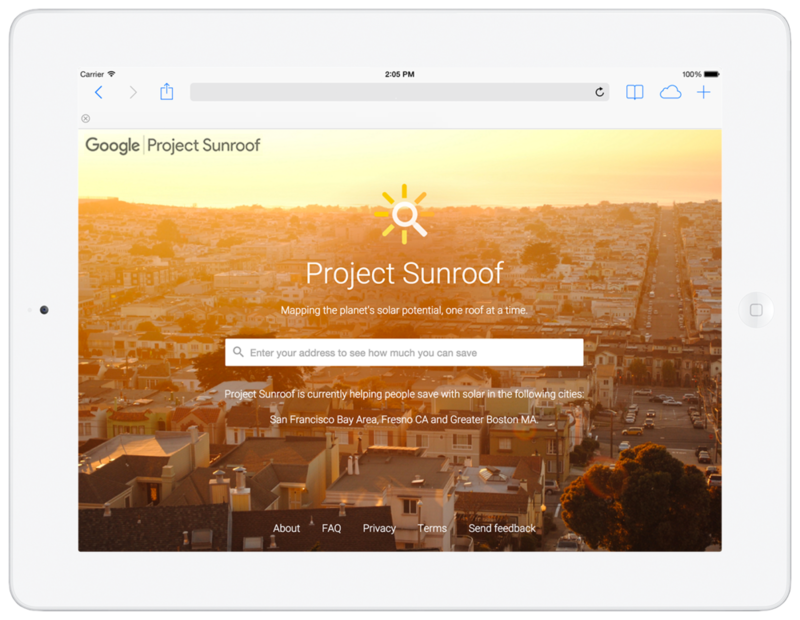 When you enter your address, Project Sunroof looks up your home in Google Maps and combines that information with other databases to create your personalized roof analysis. I designed on the logo, identity system, and some of the UI.